tho it's not as densely loud. 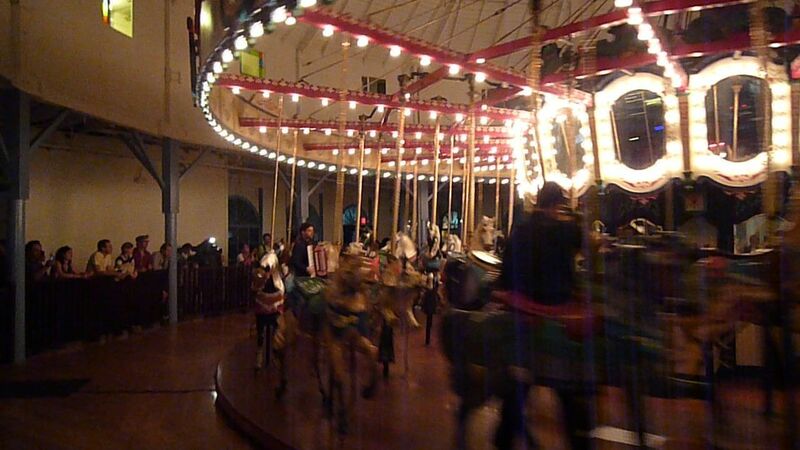 The acoustics of the 80-year-old carousel building no doubt caused much reverberation, which I prefer to the pristine studio version. There was apparently an entire evening of music and performance on the carousel and, as I live in Los Angeles, am bummed that I wasn't there. Encore, encore! If only they had Calliope accompaniment!